This new Hollywood Bowl bowling centre has been created in the shopping centre on what was the level three car park. The existing columns in the building dictated the design layout of the centre in order to maximise the number of lanes and became an integral part of the design. 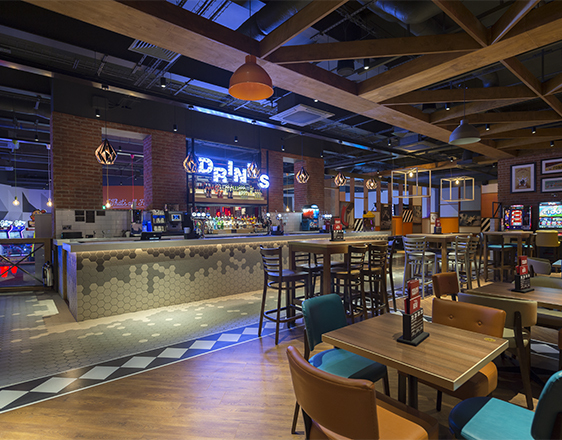 This bowling centre design is the latest generation of state of the art family entertainment centres. 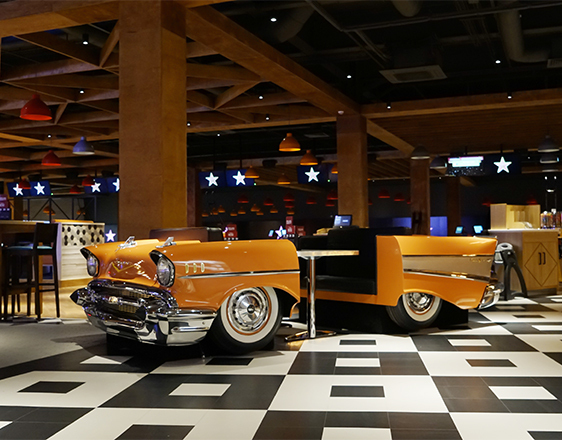 It has 18 fully computerised ten-pin bowling lanes and a stylish bar and fun packed amusements and pool areas. The décor of the bowl is a celebration of Americana including a full-size vintage Ford Mustang. The design offers a high quality, fun-filled leisure experiences to customers of all ages. 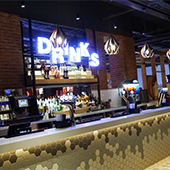 Bespoke lighting, bric-a-brac and American Retro signage reinforces the brand theme. The timber ceiling adds interest and the columns lead to distinct areas for the diner, amusement and pool areas. 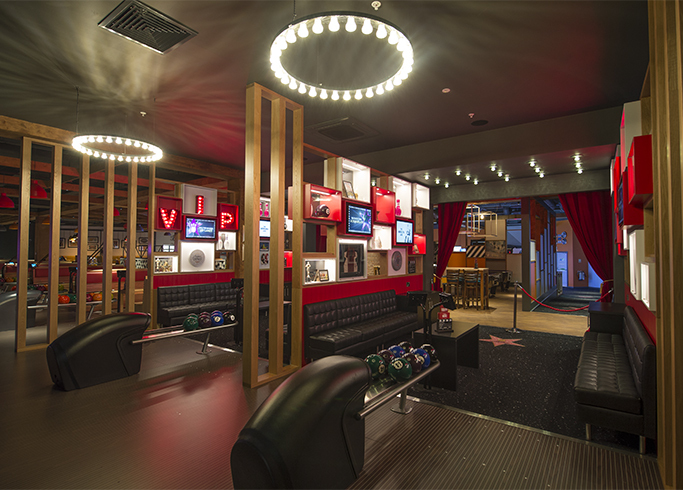 The VIP area is separated from the main bowling lanes via a wall covered in various Hollywood paraphernalia. 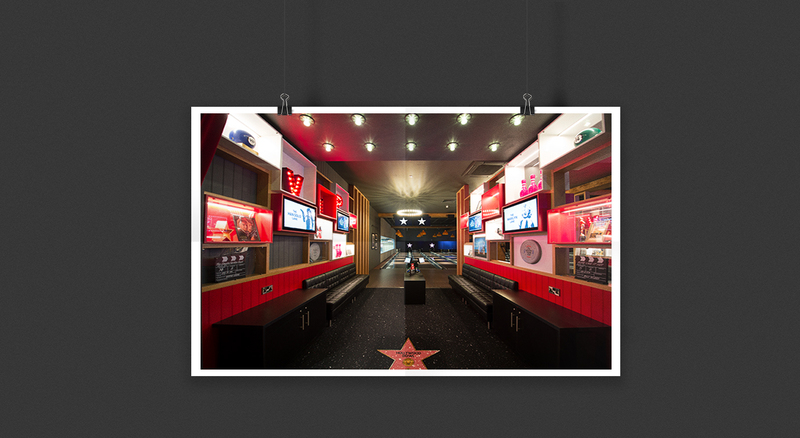 It features everything you would expect in a Hollywood themed bowling alley; old movie stills, velour red curtains, replica Oscars and a walk-of-fame star for good measure. Clients comments include: “Absolutely amazing facility!! Completely loved the decor!”. 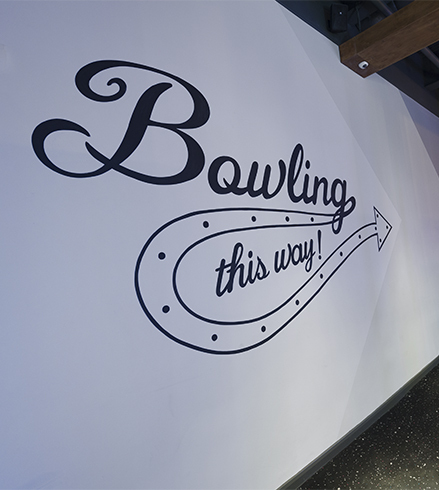 “VIP lanes were beautifully decorated and the interesting style balls were great fun!”.